Sometimes when it comes to salad, the simpler the better. Start with leafy greens. (Dietitian tip: the darker, the better, as they’re more nutrient-dense.) Add some color and texture – like currants! Give it some bite. We chose scallions for this one. Finally, finish with a sprinkle of homemade dressing. 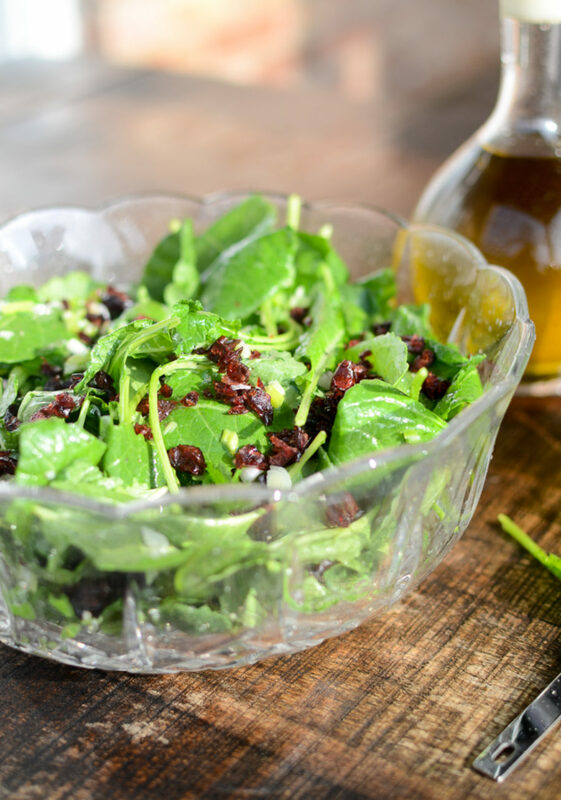 Our recipe for Baby Kale, Currant Salad, Honey Lemon Vinaigrette has just a few main ingredients, but the way they complement each other in flavor, texture, color, and nutrient profile, make each bite enjoyable and satisfying. 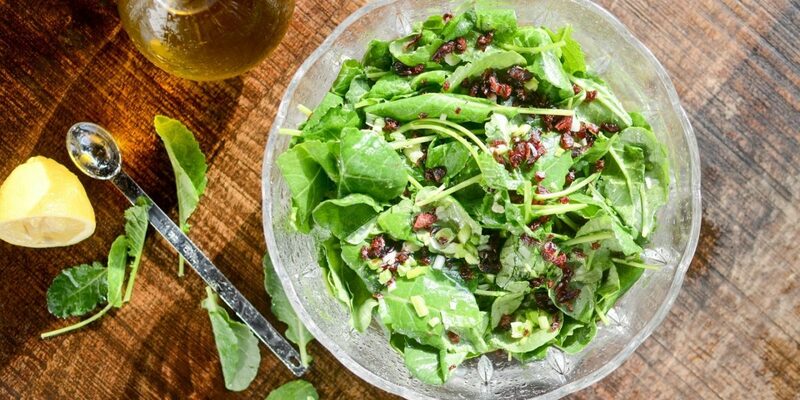 Our recipe for Baby Kale, Currant Salad, Honey Lemon Vinaigrette has just a few main ingredients, but they complement each other to make each bite enjoyable and satisfying. In a large bowl, whisk together lemon juice, garlic, and honey. Slowly drizzle in olive oil while whisking. Add salt and pepper and whisk to combine. Add kale, scallions, and currants and toss until salad is well coated.